Live Chat Software that works hard for you, so you don’t have to. Setup in a minute. It’s easy. Chat with your website visitors in real-time and increase sales. 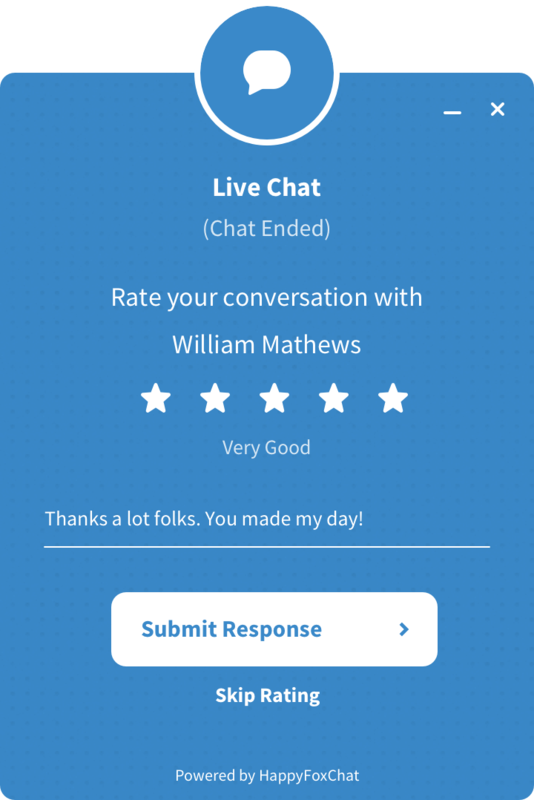 You can start selling more and increase conversions by setting up a live chat widget. You can now reduce abandoned carts, find up-sell opportunities and handle objections quickly. Your customers want quick answers and the fastest turn around time. HappyFox Chat makes it easy. 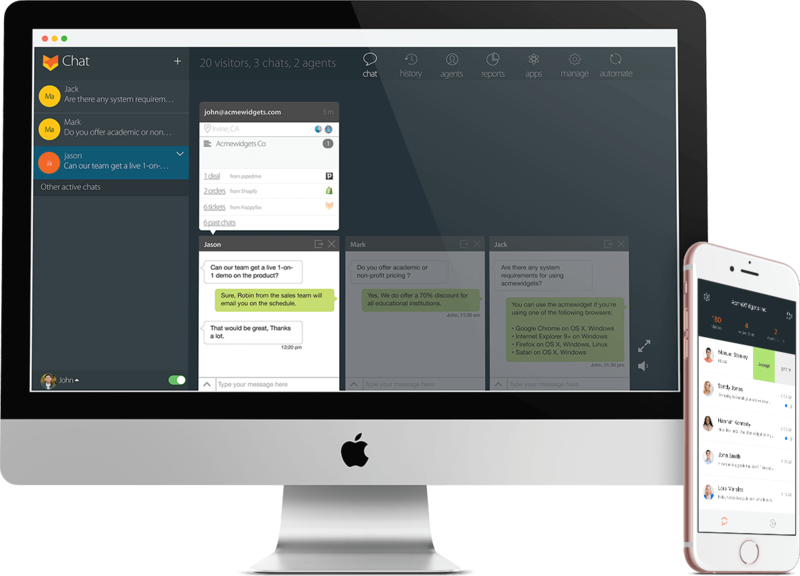 You can now respond to several customers at once in real-time. Instant gratification to your customer will increase increase customer satisfaction . 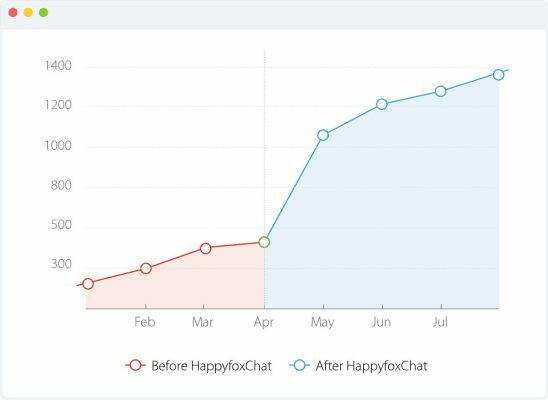 You can install HappyFox Chat on your website under a minute and make sure it matches your brand. You don't need any coding expertise to customize colors or messaging on your chat widget. You will love how quickly you can be up and running with HappyFox Chat. Automatically sync and access customer data from other business applications right within the chat interface, all without writing a single line of code. From CRM to analytics, fetch crucial data that would help you support customers with confidence. Engage with customers in real time to accelerate sales cycle and close more deals. Add a human touch, be real, ask the right questions and offer better solutions. No more missed opportunities. With dedicated apps, solve customer issues & help visitors make sales decisions on the go, anywhere and across devices.